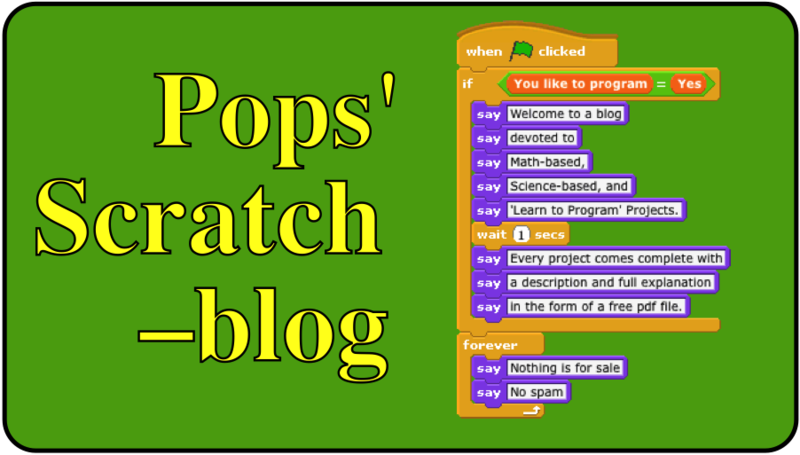 The purpose of this blog is to provide detailed information about the mathematics, science, and programming techniques embedded in the Scratch programming projects I so love doing. I was motivated to start this blog by a comment one viewer made in regard to a project I posted on my Scratch page at http://scratch.mit.edu/users/popswilson. Here is a screen shot of the project. 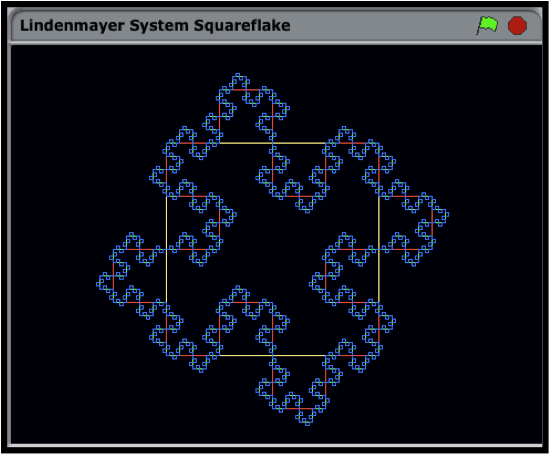 The squareflake has the unusual property of always maintaining the same area as its originating square (in yellow) even if the perimeter is increased indefinitely by repeatedly applying the Lindenmayer rule! AWESOME! How does it work? How code works is always a good question. I did include numerous comments in the Scratch scripts included in the project but they would most likely be helpful only to those that already knew something about Lindenmayer systems. Lindenmayer systems are not difficult to understand. In fact, I did the project because I did not understand a Lindenmayer system! For those with an interest in learning the mathematics behind the code, I’ve written a detailed description of what Lindenmayer systems are, how they work, the applied mathematics, and how to program such systems in Scratch. To obtain a free pdf file for the Lindenmayer project simply email a request to grandadscience@gmail.com and ask for Lindenmayer Systems in Scratch. Registered Scratch users can download the project by clicking on the above link. To download Scratch for the PC and Mac and become a registered user go to http://scratch.mit.edu/.